Hi loves! How are you today? This is a scheduled post but I am guessing I am doing fine ;-). A while back I saw this gorgeous manicure shown by Demelza. I already said I reeeally wanted to wear it seeing her gorgeous picture and so I did. It is amazing! 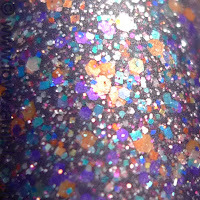 Shimmer polishes are so complex and full of sparkle, and this is one of the prettiest so far. Shimmer Wendy is in a clear base, and the color of the glitter are copper, blue, purple, and silver (as far as I can tell). There are larger hexes, small square glitter, tiny glitter, so much going on! I chose to layer it in 2 coats over a purple from The New Black, which is a very dark shade of purple. 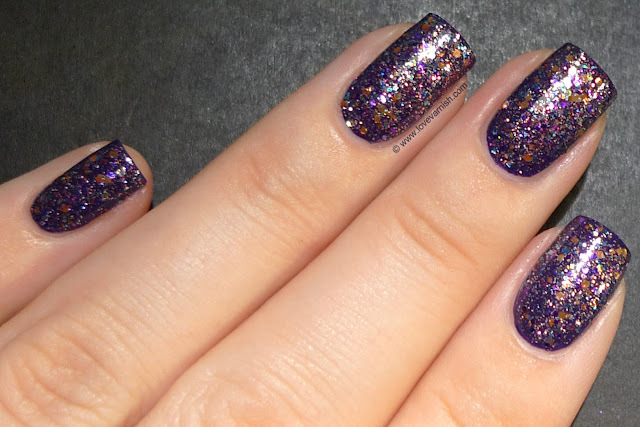 I love how these glitters apply, they spread nicely and don't clump. You don't have to work them at all! After a day of wear I decided to mattify it and wow, wish I had done that the day before! It brings out the colors so much more and I just absolutely love it :-). Which finish do you prefer? Shiny or matte? Tell me in the comments! 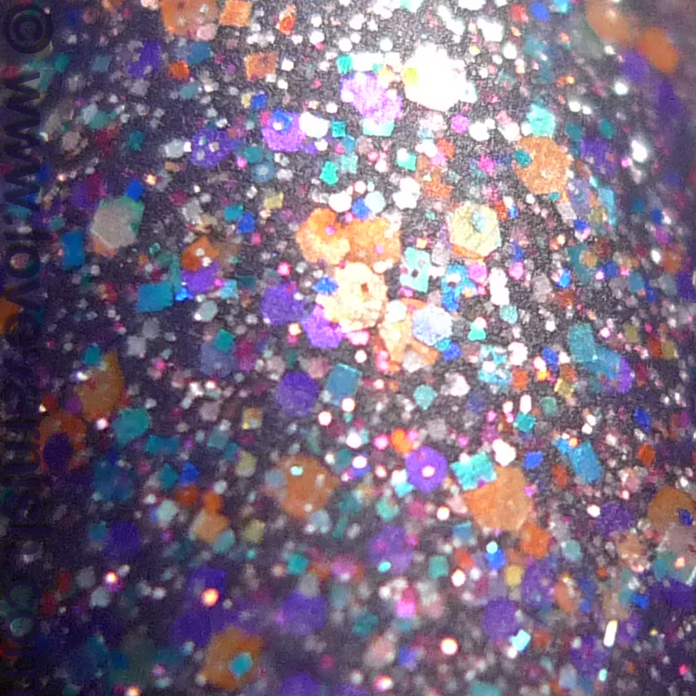 I love Shimmer Polish but don't think I've ever seen this one before. It's gorgeous! I actually this I prefer this one in matte, it really makes the glitter stand out. I think I need to start a Shimmer wishlist, cause I can't seem to remember which ones I want, this one looks like it needs to go on there! Lovely! OMG, definitely mattified. It's breathtaking! UAUUUU .. que coisa mais Linda!!! Muito bela suas unhas!!!! Haha I am slightly sorry for your wallet ;-)! They are amazing though ♥. It is fun both ways huh :D? Thanks! Yes the mix of glitter can be overwhelming sometimes, the matte effect helps to identify every pretty detail :). Thanks Angie! 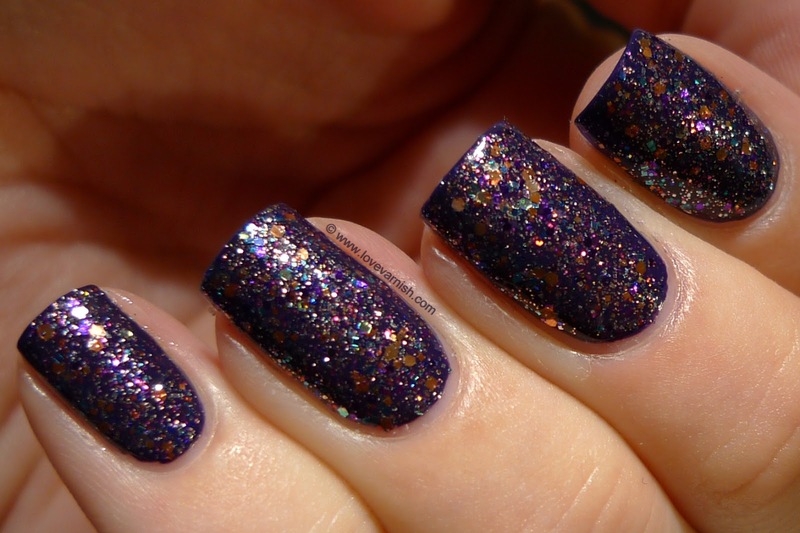 It is a really pretty glitter indeed :). Just came back home today, had such a great time there! Thank you, I think ;-)?